It is straight forward to make the Autostar/Audiostar wireless with a bluetooth module. If you are using a Stargps, however, you have to swap connectors to the Audiostar from the GPS to the bluetooth module. This project alleviates that burden. What I wanted to do was switch the Stargps and Bluetooth automatically. The task wasn't as easy as I first thought and is describe below. The results are fantastic. Meade's Autostar Suite and the free Sellarium work perfectly with it and the connection is seamless. Nothing on the PC side or the Audiostar controller had to be modified. 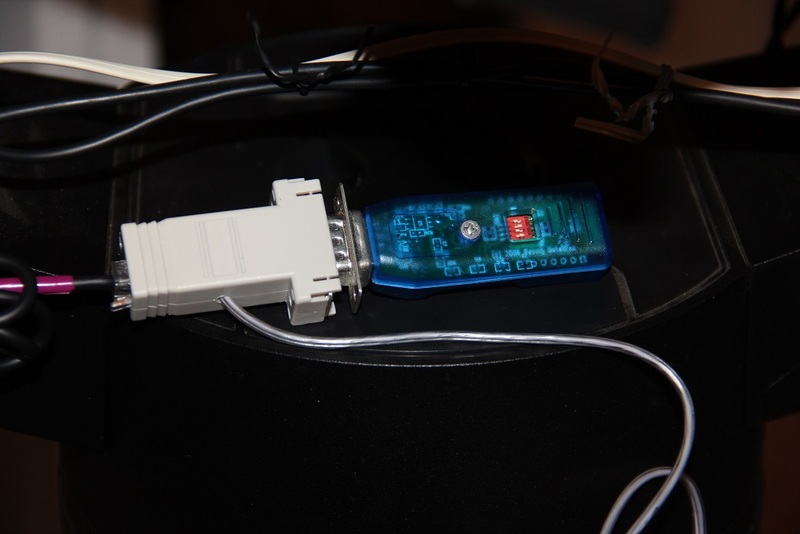 The wireless box sits plugs into the AUX port of the telescope and instead of plugging the line from the controller to the PC, it is plugged into the M2BT box. Schematic is also included althought very simple. 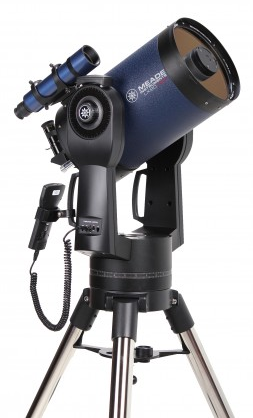 A Meade telescope with an Audiostar. This should work on any Meade controller but has only been tested on the Audiostar and Autostar for the LX90. I short, nothing else is needed but to build up the M2BT box below. If you understand schematics you can see how simple this is. I found the trick was to figure out the RJ11 and RJ9 pinouts on the audiostar and Aux ports. The wireing can get a little tricky. When you look at the RJ connectors, look at the black wire. That will tell you the ground position. The transmit and receive are always on the other end. For the Audiostar, the data to the audiostar is on the end, opposite position of the ground (black) wire. So this connects up to the transmit of COM2 of the board. Microcode for the PIC32 on the UBW32 is available for download. Here it is . Price of downloading the microcode and the schematic is free...enjoy. However, very limited support is available.